If you follow me on any of my social media channels, this won't come as a surprise. 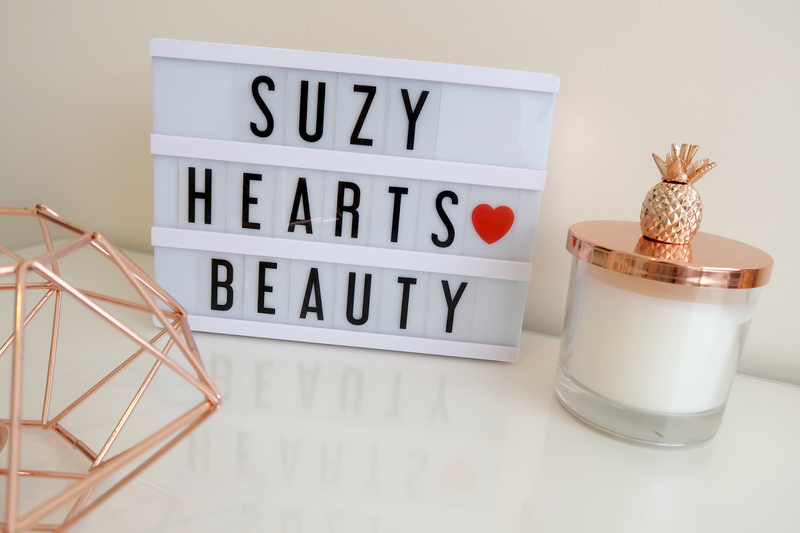 Basically after having the name Suzy Hearts Beauty for around 6 years, I decided I wanted a change. It took me quite a while to think of a name that wasn't taken already on all of the social media channels as well as the domains. I knew I wanted to take my personal name out of my blog name. Although to be honest, Suzy isn't actually my proper name anyway. I get called that by some of my family but my name is Susan. I also wanted to take the emphasis off beauty in my blog name as I would like to expand into other areas such as lifestyle, travel and local content. Saying that, you are probably thinking, but gloss is makeup?! When I picked the name Northern Gloss, I was actually thinking a lot about incorporating "gloss" into my name because I like the connotations of shiny, bright, luxury and so on, that come with it but I guess I do like lipgloss too! I also thought about the phrase "northern grit" and quite liked the play on that, as I did quite fancy having something in my name that referenced where I'm from (North East England, for those outside of the UK!). Now that I've got my little notice out of the way, I thought I'd let you know that I do actually plan on blogging more this year. I've got a few posts photographed so I'm planning on getting those typed up ASAP and we'll take it from there! Let me know if there's anything on my instagram (because that never stopped!) you've seen that you want me to talk more about on here and I'll see what I can do! Thanks for still following me after quite a long blogging break, apart from all of the huge blog sales of course! See you soon!